Bellini is a quintessential Italian cocktail that is popular all over the world. 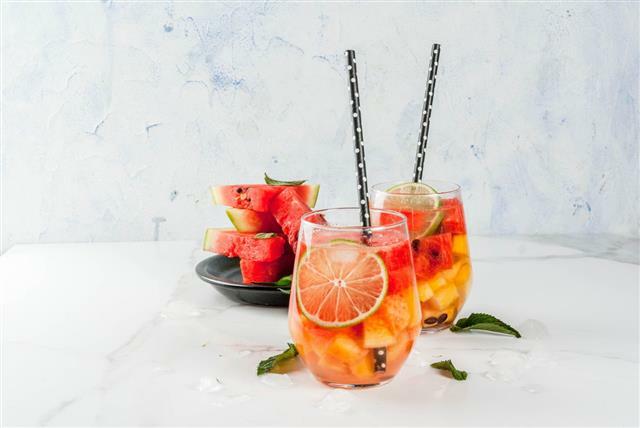 Tastessence does a twist on the classic recipe by providing some refreshing frozen Bellini recipes for all those who are smitten with this drink. 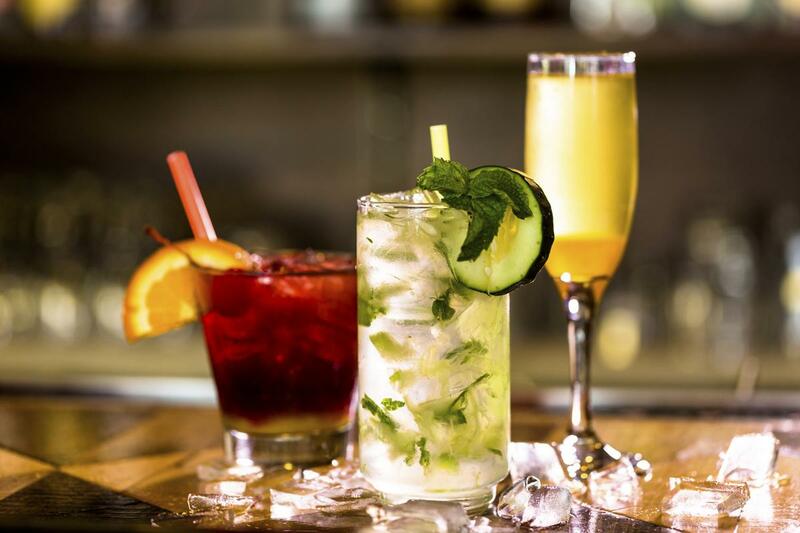 So that non-alcoholics don't miss out on this delectable cocktail, sparkling juice or seltzer can be substituted for prosecco or sparkling wine. 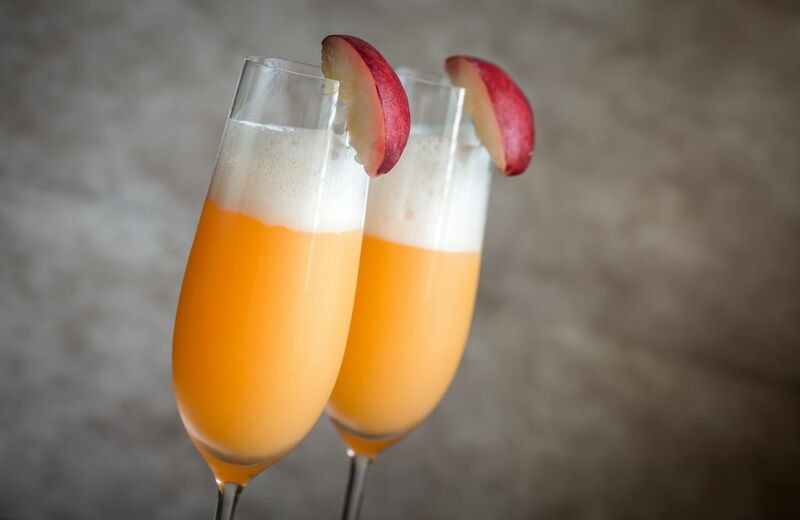 Bellini is an immensely popular cocktail, traditionally made with Prosecco, cherry juice, and white peach puree―one of Italy's finest contributions to the world in terms of spirits! However scintillating the drink may taste, Bellini is a rather odd name for a drink. Named after a famous Venetian painter from the 15th century (attributed to its faint pink color), it was invented in Venice in 1948 by Giuseppe Cipriani. The drink made headway as a specialty drink at Harry's Bar, founded by Giuseppe Cipriani, and was frequented by the likes of Ernest Hemingway. Later on, it went to become popular at the bar's New York outlet. Bellini is now one of the many drinks that has been shortlisted by the International Bartenders Association (IBA). 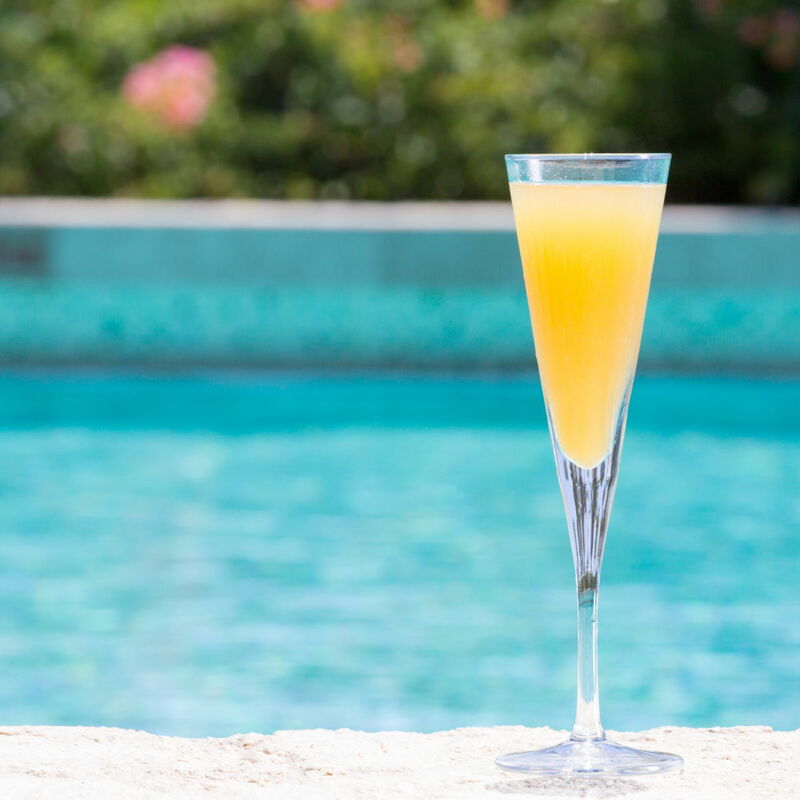 While the traditional concoction bought this drink international fame, Bellini is no longer restricted to its initial ingredients or proportions. 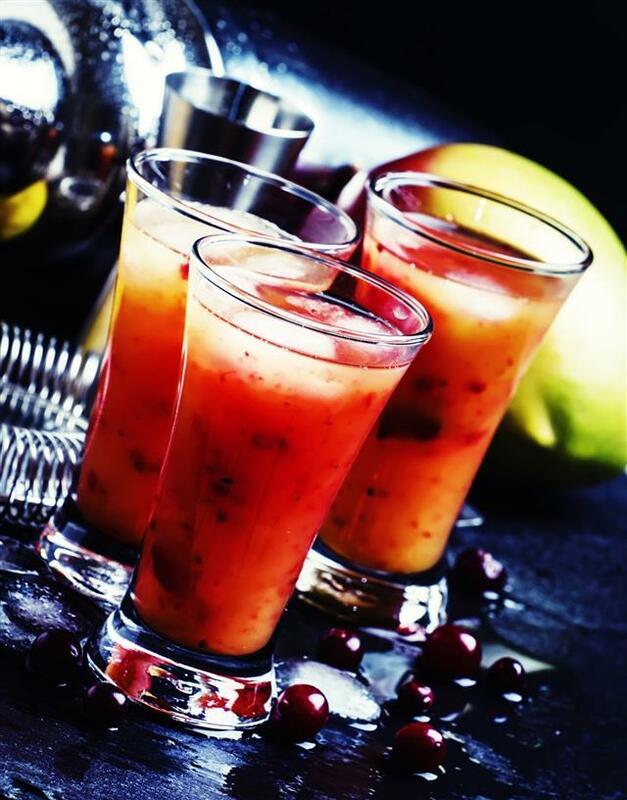 Be it a house party or a simple evening get-together, this fruity spirit is sure to leave your guests wondering! We've listed out some common and some not-so-common Bellini recipes for you to try out. Drain out the syrup, and chop out the peaches. Add them along with sugar and water to a saucepan. Reduce heat, and let it simmer for five minutes. Take it off the heat, and let it cool. Once the mixture has cooled down, blend it to a fine paste. Add water to change the consistency from paste-like to somewhat juice-like. Take note that it shouldn't be too viscous. Pour it into a flat dish, and leave it in the freezer to set. When you need to serve, leave the dish out for at least ten minutes so the frozen texture softens. Then use a spoon to scrape up some of it. Turn the ice into a slush-like consistency by scraping it back and forth a couple of times. 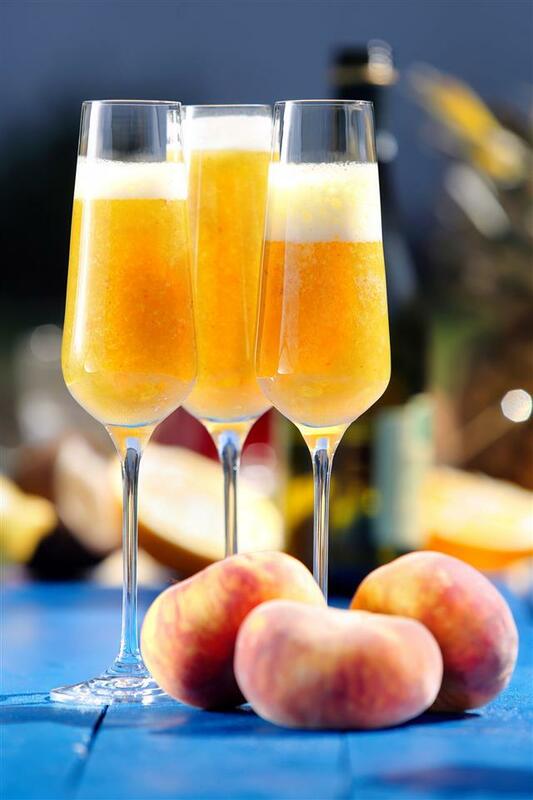 In the glass, pour three quarters champagne, and top it off with scoops of freshly made peach slush! Traditionally, champagne goes with a flute glass; however, we feel even a martini glass works well. More slushy goodness that way! 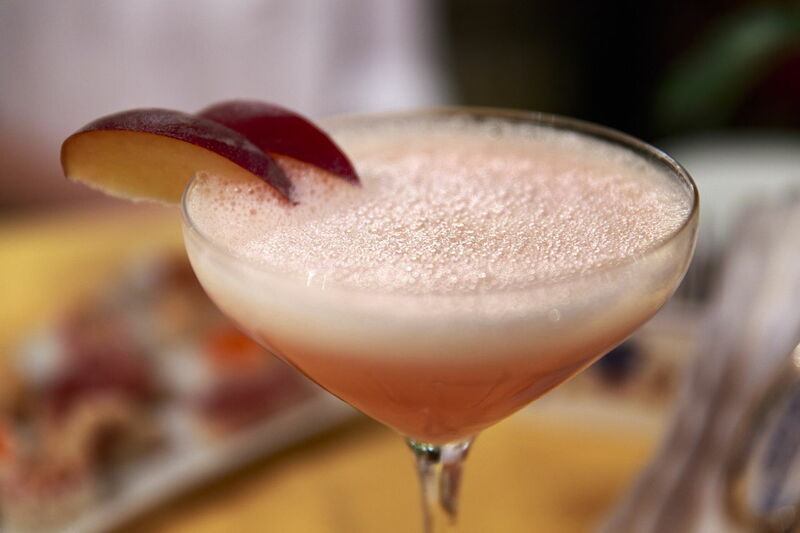 Finish your fruity Bellini by adding a fresh fruit chunk. Berries, like strawberry and raspberry gel well with any fruity drink. Cherries are mostly used, the safest (and in this case, the most delicious) bet ever! Many people tend to garnish with fresh peach slices―that too works well. Many never go with too much of one flavor, but that's more of your choice. If this didn't quite work up your taste buds, replace the canned peaches with frozen ones. Though we swear by the canned ones, few people tend to find the frozen ones better. Not a fan of champagne but still fond of the idea? Give it a go with vodka; you'll know what a perfect ten tastes like. That doesn't really stay a Bellini then, but knowing a good drink never goes waste! If you're a sugar baby and find the taste somewhat flat, try it with peach schnapps. It's the one ingredient that will get the drink to blow you away! Grated orange peel, 1 tsp. In a saucepan, add only sugar and water. Heat the water, so that the sugar completely dissolves. Let this sugar solution cool till room temperature. 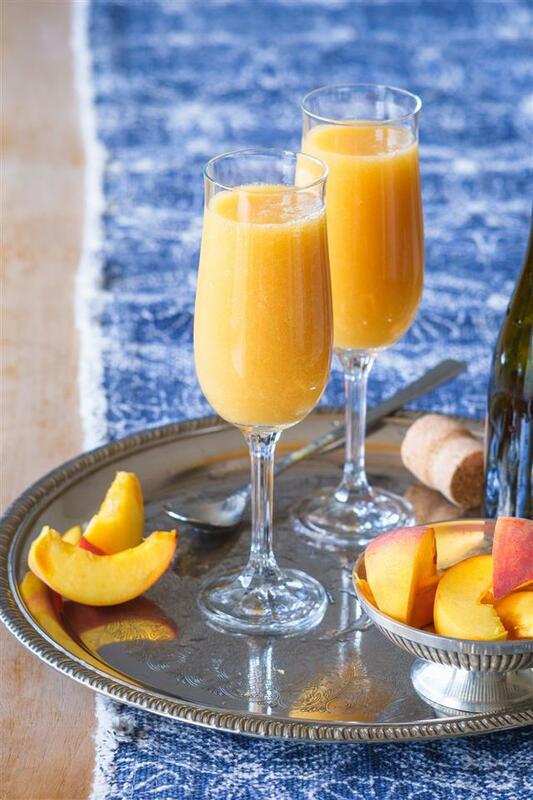 Now blend the peaches along with orange peel and 1½ cups of sugar solution to form a smooth puree. Strain the puree, and refrigerate until serving time. Add 3 to 4 tbsp. puree in a flute, and finish with Prosecco. Chilling the glass itself is a great idea while serving any cocktail. 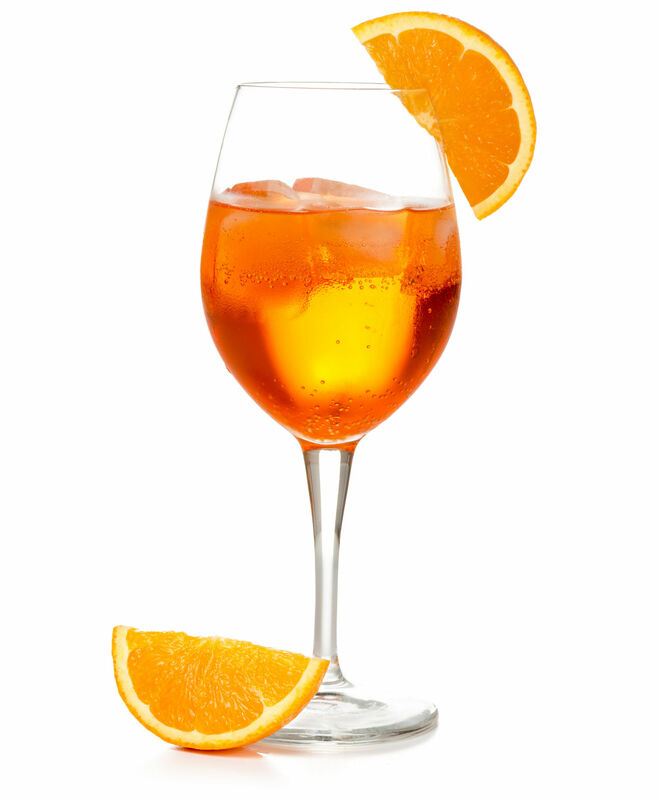 Garnish this tantalizing drink with orange peel to bring out the most of the orange tinge. Like any other puree Bellini, you can make this drink for a group of people by pouring out the puree in a pitcher and then adding wine. Traditionally, this cocktail is had straight up without ice. But, like most other refreshing drinks, Bellini is fabulous with crushed ice. 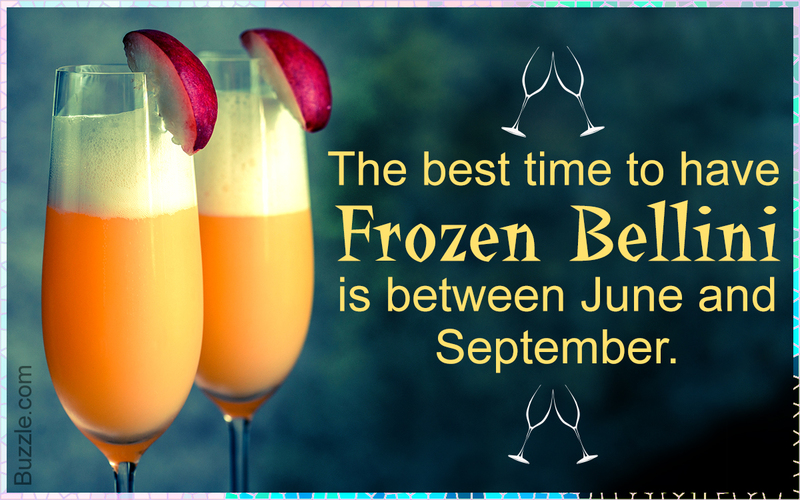 So don't be miserly with ice if it's an afternoon party, or simply, a sultry day. While going overboard with the ice, using a flute may not be the best idea, as it is, quite visibly, tight on space. Grab any wide-mouthed glass for this purpose; even a margarita glass will do. Thaw the frozen berries, and blend them with sugar. If desired, remove the seeds by straining the puree. Refrigerate till serving time. Take 1 tbsp. 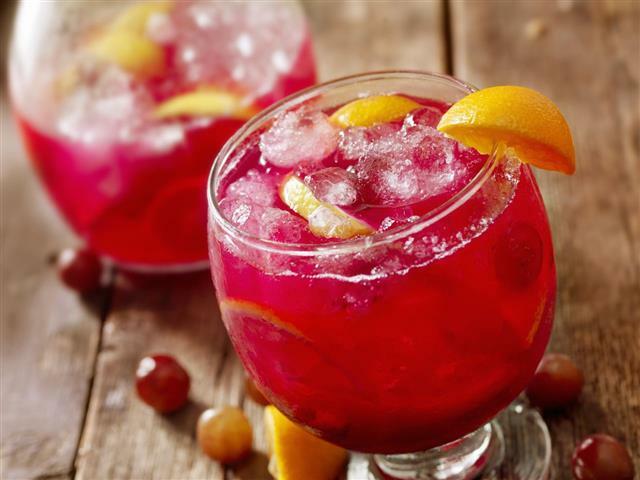 puree in a glass, and top it off with sparkling wine. Depending upon the sweetness of the puree, you may want to add more of it. Feel free to indulge! 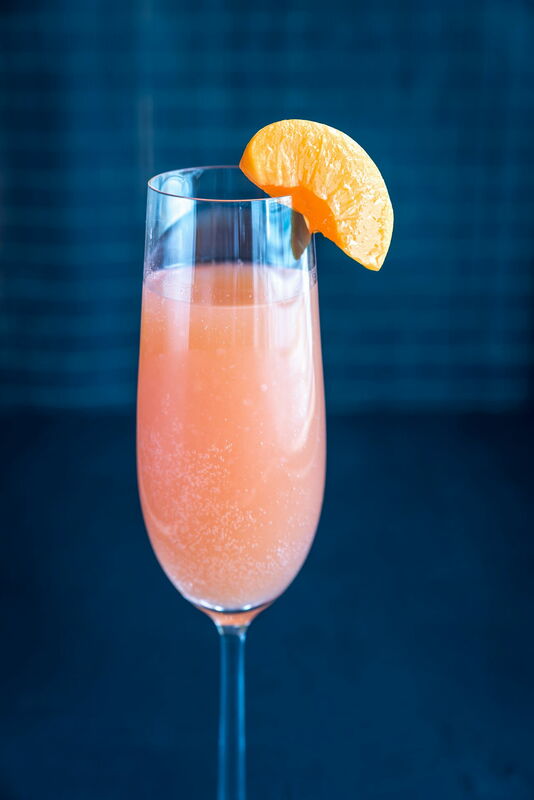 You can whip up this wonderful Bellini for many people at the same time by pouring the puree into a pitcher and then adding the wine. Roughly chop out the raspberries. Add them to a cocktail shaker along with ginger liqueur, simple syrup, and lemon juice. Fill the shaker with ice, and shake well. 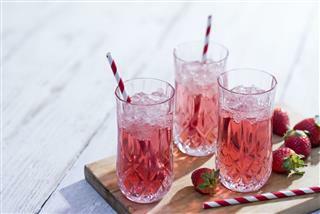 Strain the contents before pouring into a serving glass, and top it off with sparkling rose. You can garnish this lovely evening drink with a fresh raspberry on a skewer, complemented with a piece of candied ginger. As mentioned before, we prefer to go with something a bit off so as to avoid having too much of the same flavor. 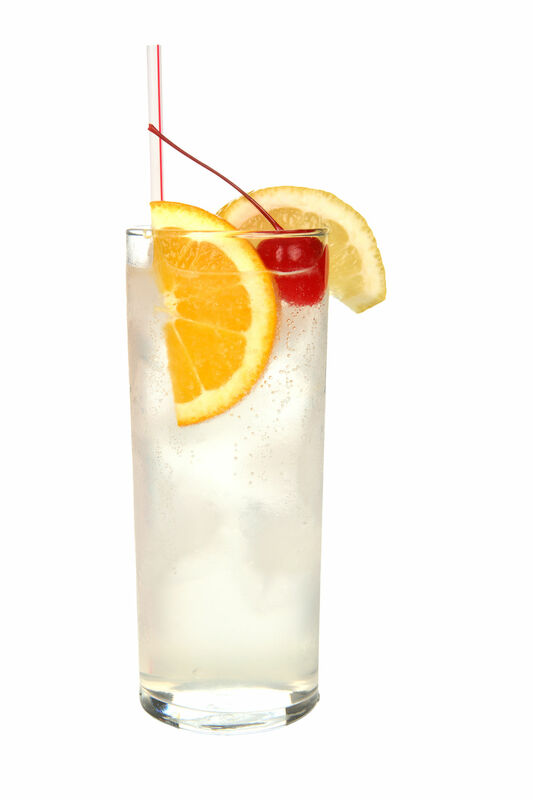 In this case, one can garnish with cherries or a slice of lime. To make blackberry puree, smash them and pass through a strainer. Take about half a tablespoon of the puree in a glass, and fill half of it with grapefruit juice. Garnish this unique Bellini with a fresh blackberry, or raspberry. 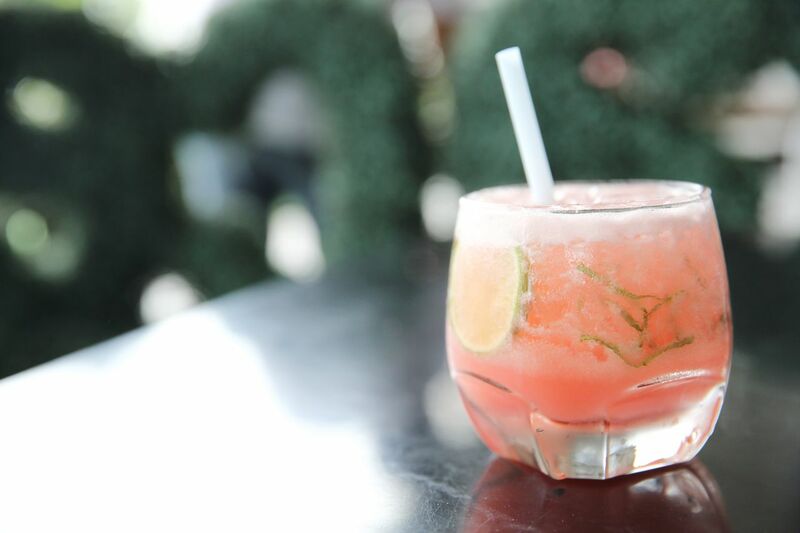 Be abundant with ice; crushed ice is also a great idea with a refreshing drink like this one. Pour Prosecco and juices in a measuring cup. Stir well. Pour the cocktail into champagne flutes. Sprinkle with lemon zest to serve. Sugar, 3 to 4 tbsp. Thaw the frozen raspberries, and blend them with the sugar to form a smooth paste. Sieve the paste so as to segregate the seeds from it. Now you should have about 10 tbsp. raspberry puree. While serving, take 1 tbsp. raspberry puree, and carefully place it at the bottom of the glass. Pour out chilled champagne to fill the glass, and stir it very gently. While I'm not one to fuzz too much over the glass technicalities, this one definitely needs a flute. Chill the glass by placing it in the refrigerator for a few minutes before using it to serve the drink. Alternatively, you can place ice cubes in the glass for a few minutes before pouring the drink (remove the ice and then pour). Add a fresh raspberry to the drink as garnish. Alternatively, you can slice it and place it over the rim; this could get tricky if the berries are too small. Peel the peaches, and remove the seeds. Blend well with 1 tsp. sugar and 2 tsp. lime juice to make a puree. Add 1 tbsp. puree and 1 tsp. 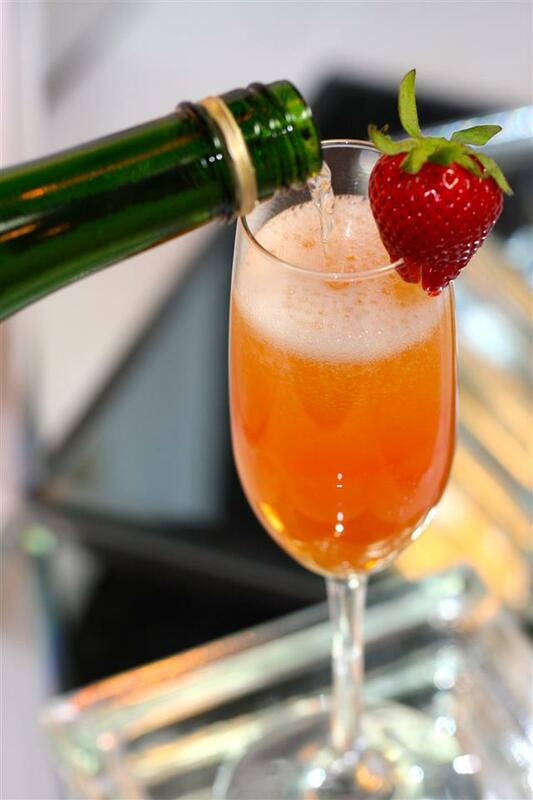 sugar in a glass, and top off with chilled Prosecco. 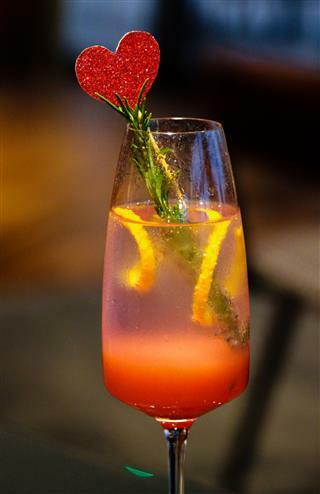 Garnish with lemon rind; either add it to the drink, or on the rim of the glass. Fill two-thirds of the glass with chilled champagne or any sparkling wine, and top off with apple cider. We found that cherries work well in bringing out the best of the flavors in this drink, so throw in a few! Garnish with cinnamon sticks if you have a few handy―one in each serving. Lastly, for those of you who like their drinks a little sharp, strong, and edgy, we've got Tinsel Bellini. Pour one part limoncello to one part champagne with two parts of hpnotiq in a flute, and add a bit of lime to it. 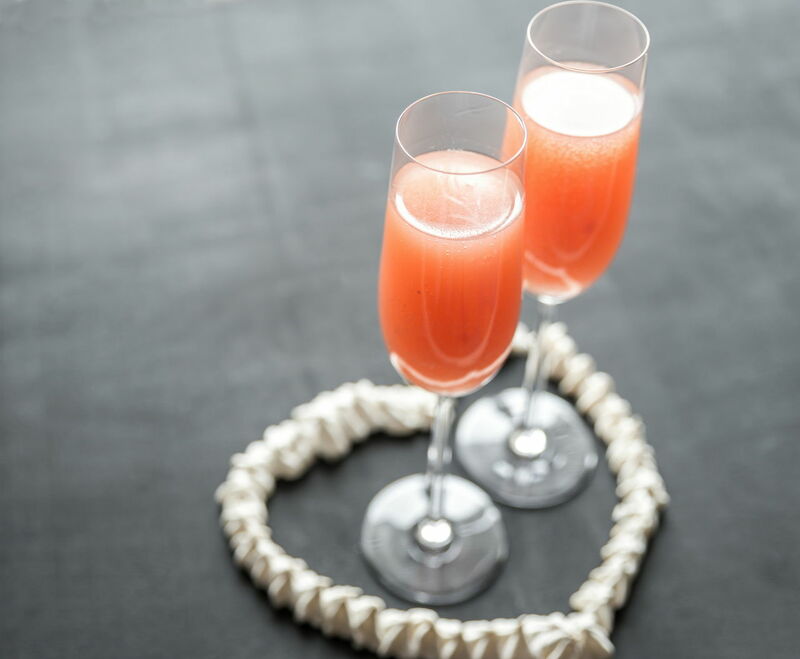 It's not a traditional Bellini considering it's got vodka, but from what we've heard, it makes a brilliant drink for almost anyone with taste buds! Felt that a particular ingredient doesn't go well? Or something else would make the drink way more awesome? Feel free to drop in your feedback or other interesting recipes; we'll try and update them as and when we get a chance. *Note that the quantity of champagne may vary depending upon the amount of puree one chooses to add.